We use olefin fabrics for our church pews because olefin can stand up to a lot of use over the years without faltering. Our fabrics also have extra stain resistance with a Teflon coating. With a wide selection of colors and patterns, there’s something for just about every church. We recommend that you start by looking at the 60 swatches of olefin fabrics we offer to see which matches your church best. 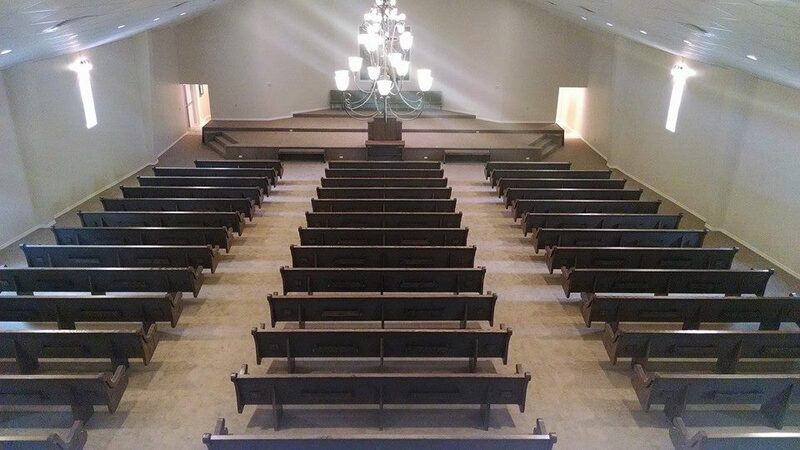 However, if nothing works or you have a unique need, we can always fully customize your church pews to suit your church best. 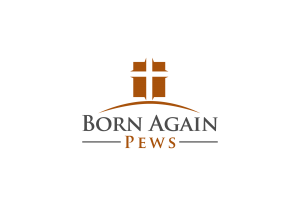 One of the best parts of having fully custom church pews is that almost nothing that can’t be done to make your church pews just right, including fully custom fabrics to match your church. 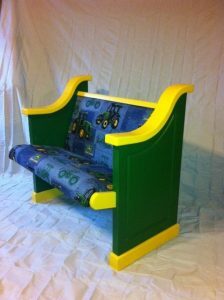 We’ve made church pews in different fabrics before, including the church pew we built for Duck Dynasty as well as a fun John Deere themed church pew. The flexibility of custom church pews allows you to choose whatever you want for fabric. Ensure that the fabric is tough and made for the application. Not all fabrics are well suited to upholstery. Check for stain resistance. Look for features like Teflon, Scotchgard, or other stain resistant coatings. Check for color fastness. Some fabrics will easily bleed colors. Will your fabric be exposed to direct sunlight? Some fabrics will fade over time. Ignore fabric grades. Fabric grades are only an indicator of how expensive the fabric was to make, not of how durable or long-lasting the fabric will be. Denser fabrics last longer so place a higher premium on thread count if you’re looking for a more durable fabric. If you’re after a pattern, look for woven patterns rather than printed ones since they tend to last longer. If your church is in a humid climate, seek out mildew -resistant fabrics. If you’re considering a special fabric instead of one of our standard olefin options, be sure to call one of our representatives to ensure your ideal fabric is right for church pews.